We believe a vibrant garden is within your reach, but we don’t believe it should take a ton of maintenance to achieve. 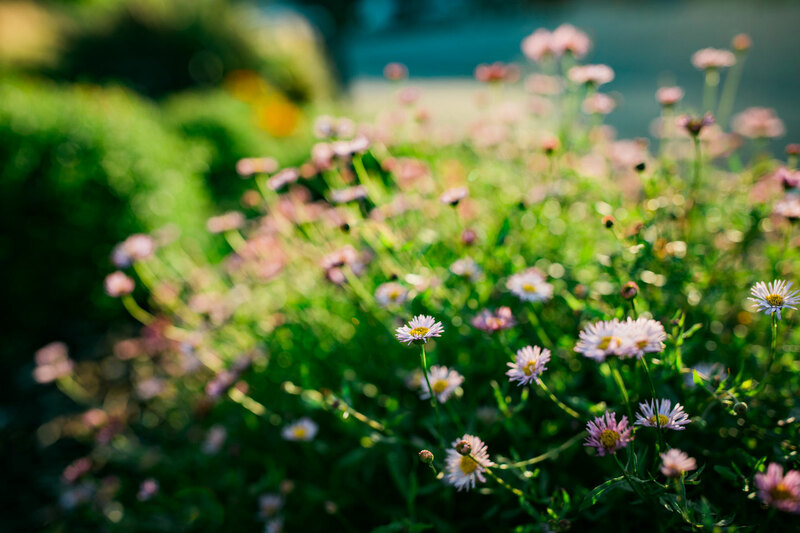 Wild Bloom practices holistic and specialized garden maintenance methods to make your landscape more self-sustaining. This saves time, effort, is better for the earth, and ultimately leads to a healthier outdoor space. 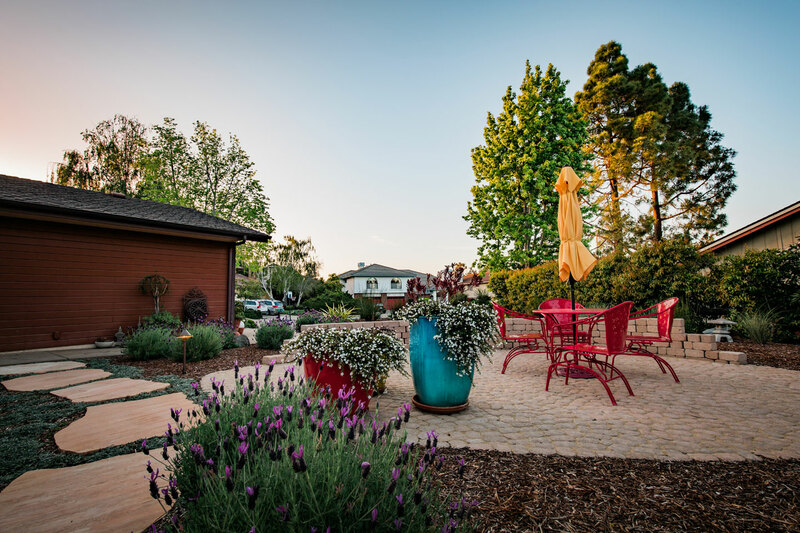 Customized to meet your unique needs, services provided may include: shrub, ornamental grass, and small tree pruning, sustainable weed management, hardscape clearing, leaf and debris removal, compost tea application, irrigation checkups, and monthly reports. The consultation is all about discovering how we can best help you. While we do have several standard questions we like to ask, it’s mostly about listening to you. We want to learn what you like about your landscape, what you dislike, what frustrates you, what you value most about it, and more. Through this discovery process we can customize a maintenance plan that will fit your needs. The consultation usually takes about a half hour and includes a walkthrough of the property so that we can make sure we address every part of the landscape. After we have a good sense of the services you will benefit from and the amount of time it will take to meet your needs, we will email a written quote to you. From there, you can choose to begin maintenance with Wild Bloom and we will get started right away. After your consultation, we will offer a quote for the monthly cost based on the estimated time and materials needed to maintain your landscaping. If you’d like a lower monthly cost, we can adjust the duties to be performed at your property. If you would like more work done, we can increase the amount of time that is spent there. We also allow for seasonal flexibility. Some landscapes don’t require as much maintenance in certain parts of the year. Rather than charging you the same amount year round regardless of the workload, we can adjust accordingly. What do you value most in a landscape maintenance provider? Since there are so many different companies out there offering maintenance services, being clear on what you value most can help to narrow down your choices. For example, it could be communication, price, customer service, sustainability, results, or flexibility. Of course all those things are important, but finding a few sticking points that you value most can help you weigh the different options. What aspect of maintaining your landscape is most important to you? No matter what, we want to do a good job, and part of that is making positively sure that we accomplish the maintenance tasks that are most important to you. Maybe you want to make absolutely sure your hardscapes are spotless. Maybe the weeds bother you the most. Maybe you want to put an emphasis on water savings. Regardless of what it is, we want to know about it so that our Garden Specialists can place an emphasis on getting things done the way you like them. It can be hard to know what it should cost, but think about what you can reasonably budget for each month so at least you have an idea of whether our quote is within that range. Also consider that our pricing structure is flexible, so if we know your budget we can make specific maintenance recommendations based on what you would like to spend. We know there can be many good reasons to have a lawn. That said, we don’t provide lawn care services. Instead we want to focus on helping you make your property more sustainable and easier to care for. If you require lawn care services, are you willing to hire a separate lawn mower or do the mowing yourself? Another option is for us to replace the lawn for you. There are many great alternatives such as Kurapia, Sedge, or a native landscape. Are there other services you would like? Would you like a vegetable garden, rainwater catchment, patios, plantings, or other landscaping services? Feel free to inquire about other ways we can help you. We are here to help, and between everyone on our staff we have a wealth of information we would love to share with you. We certainly don’t know it all though, and if that’s the case we will gladly do the research to get you the answers you need. If you have certain plants you are curious about, need design ideas, other service-provider recommendations, or anything else, please don’t hesitate to ask.